Have wand, will travel! Book now for your next children's party! Kids' Entertainment: Safe, Harmless Fun! Find out how Robert Butcher can add that extra-special magic to your child's party for as little as £125. Robert Butcher's Magician's Apprentice extravaganza makes your child the star of the show. Age-appropriate illusions, personalised to your child's tastes can be tailored from any of the regular themed packages. 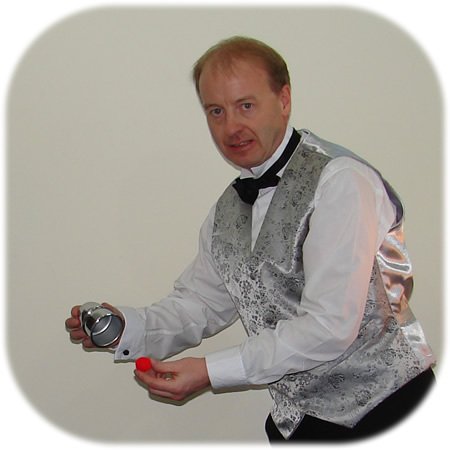 Whatever the event, please contact the Magician's Apprentice to discuss your requirements in detail.